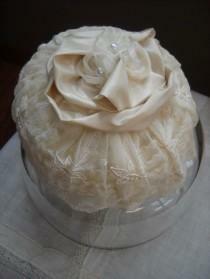 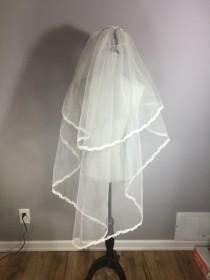 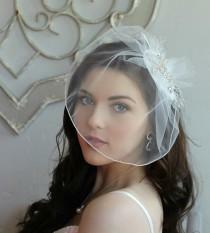 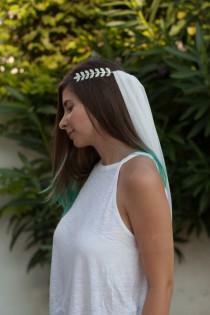 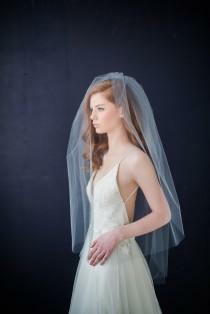 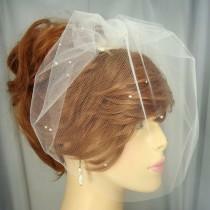 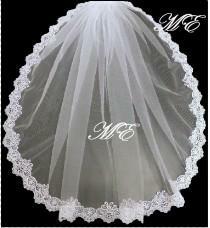 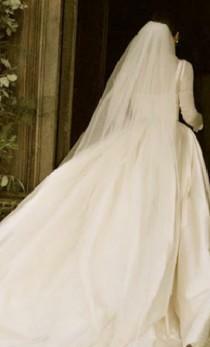 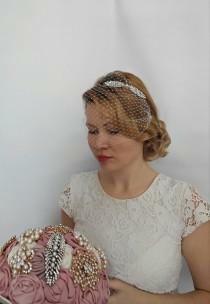 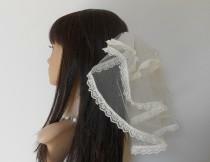 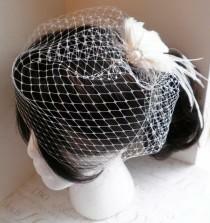 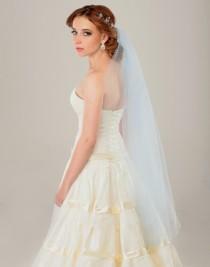 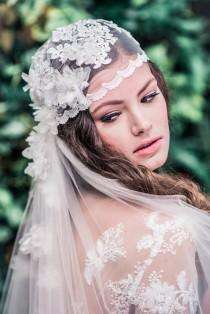 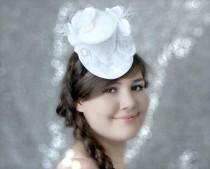 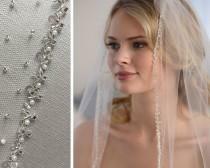 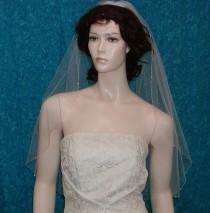 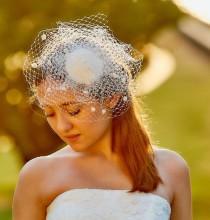 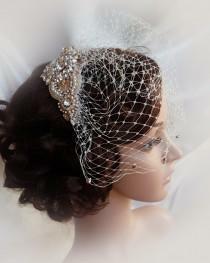 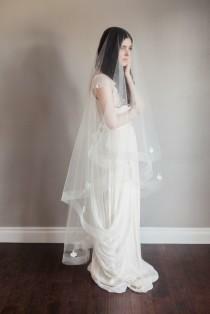 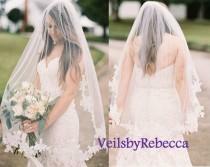 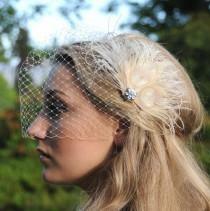 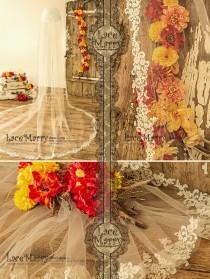 This bandeau style veil made from retro dot illusion tulle. 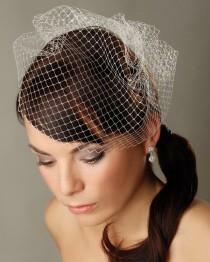 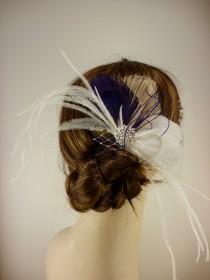 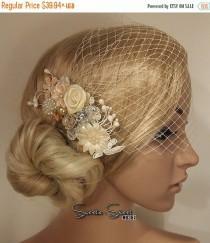 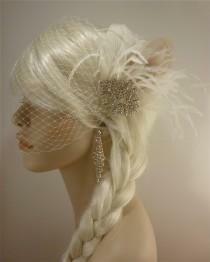 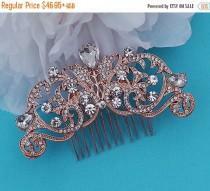 Veil edges attached to two bobby pins. 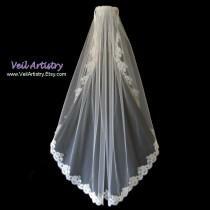 Veil size approximately 14" by 9" (32 cm by 23 cm).